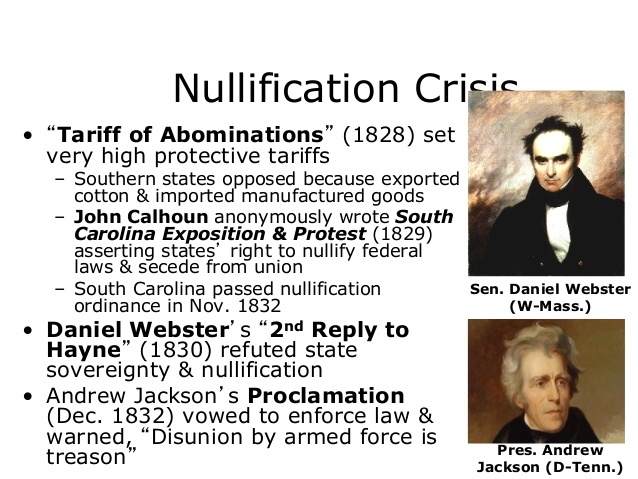 Read the Extended Overview sections of your curriculum through the section on the Tariff of Abominations. 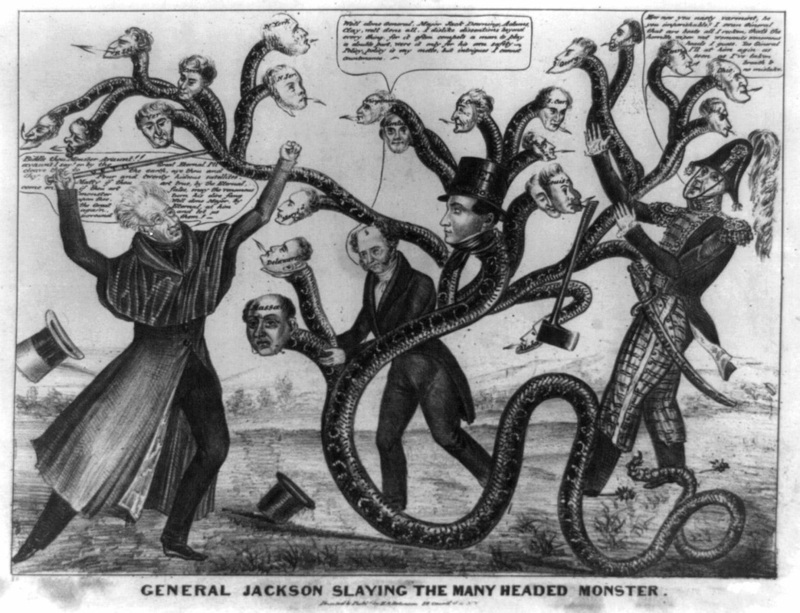 Jackson’s motto seemed to be "To the victor belong the spoils," and he certainly employed the "spoils system".One of his first acts was to fire dozens of federal employees, some who had been there since the days of George Washington. 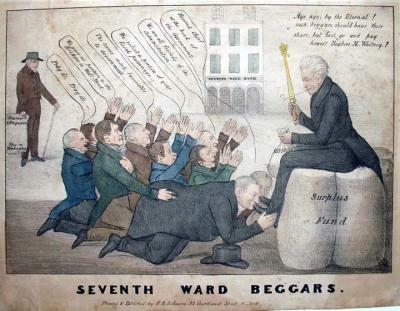 In their place he appointed people who had supported him.These appointments did not always work out so well. One member had to quit after having a well publicized affair. 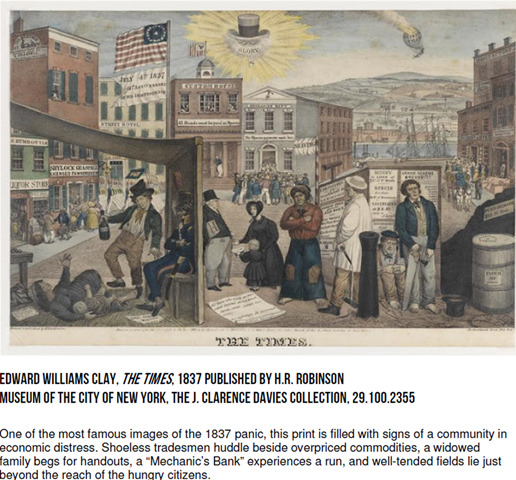 Summary: Another satire on the Panic of 1837, again condemning Van Buren's continuation of predecessor Andrew Jackson's hard-money policies as the source of the crisis. 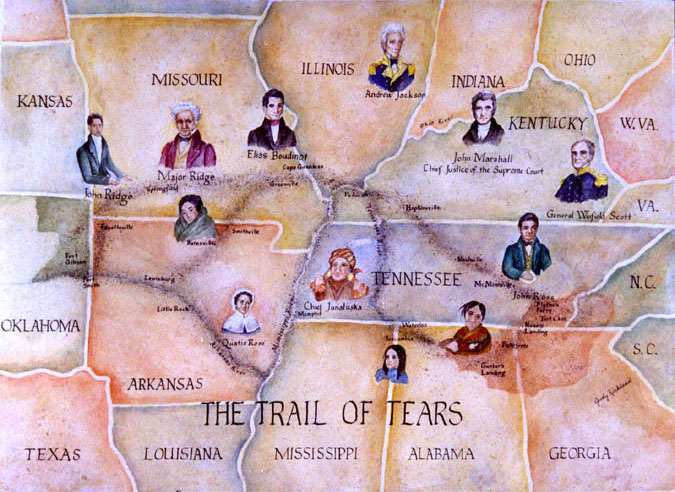 Clay shows the president haunted by the ghost of Commerce, which is seated at the far right end of a table which he shares with a southern planter (far left) and a New York City Tammany Democrat. 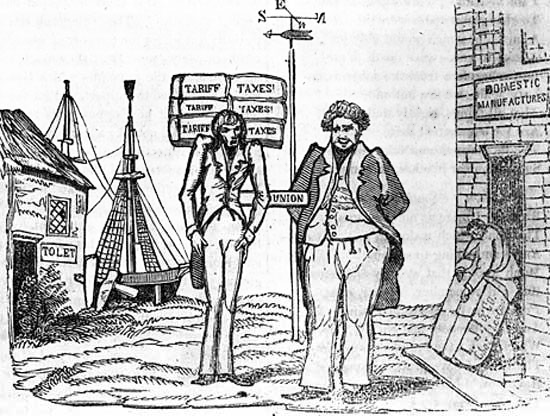 Commerce has been strangled by the Specie Circular, an extremely unpopular order issued by the Jackson administration in December 1836, requiring collectors of public revenues to accept only gold or silver (i.e., "specie") in payment for public lands. The ghost displays a sheaf of papers, including one marked "Repeal of the Specie Circular," and notices of bank failures in New Orleans, Philadelphia, and New York. Van Buren recoils at the sight of the specter, exclaiming, "Never shake thy gory locks at me, thou can'st not say I did it." Jackson, in a bonnet and dress made of bunting, turns away saying, "Never mind him gentlemen, the creature's scared, and has some conscience left; but by the Eternal we must shake that out of him." Planter (a note reading "Cotton Planters Specie in "Purse." Alabama" protrudes from his pocket): "No credit. Huzza!!" Tammany Irishman (raising a glass): "Down with the Bank!!" 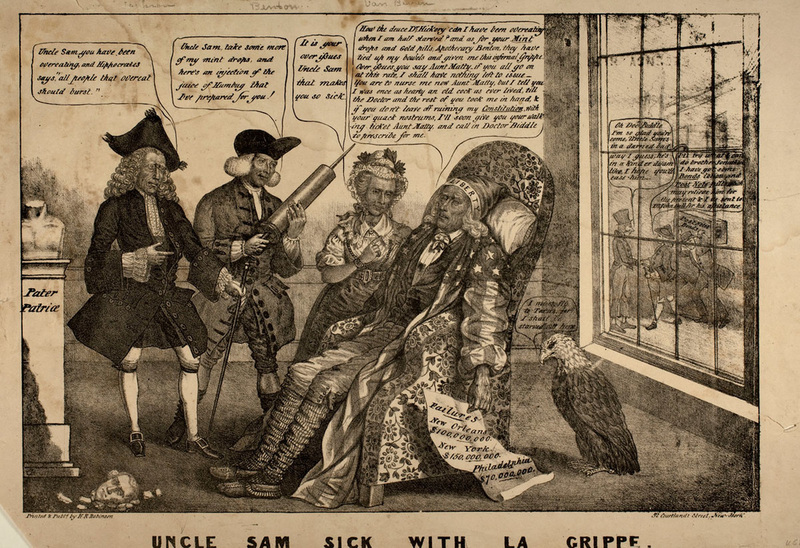 "Uncle Sam Sick with La Grippe," printed and published by H. R. Robinson (New York, 1837). 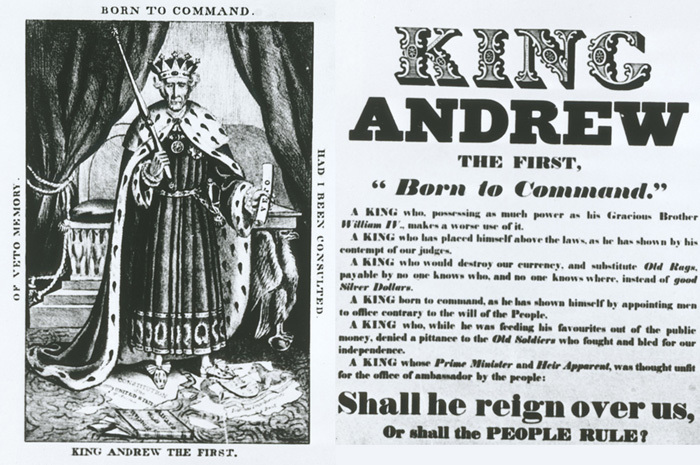 Courtesy of the Political Cartoon Collection at the American Antiquarian Society, Worcester, Massachusetts. Click on image to enlarge. Note: Some adult language. Use your discretion. The collapse of the economy precipitated by the Jackson/Van Buren administration occured merely a week after Van Buren was sworn in . 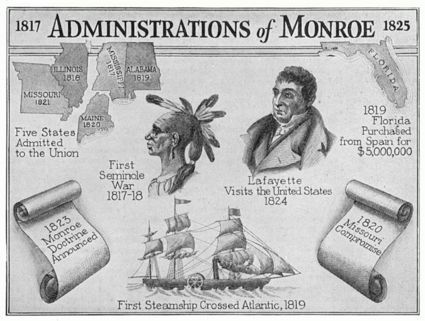 The severity of the crisis was exascerbated by poor harvests, declining western expansion (due to the inability of settlers to afford land), national debt after the Louisiana Purchase, and runaway inflation caused by banks printing worthless currency. 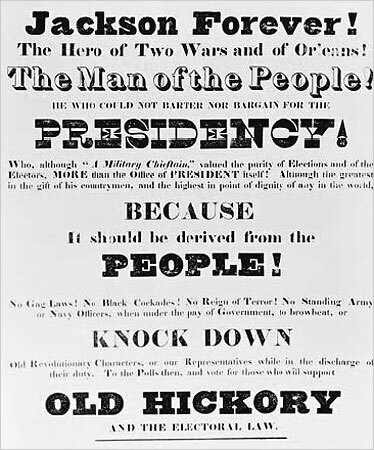 The Whig Party, which had formed under Henry Clay to challenge Jackson, sucessfully launched a candidate to challenge Van Buren's rebid for office. In the election of 1840, William Henry Harrison, an Indian War hero nicknamed "Tippecanoe" after the location of one of hid battle victories, soundly defeated Van Buren in his bid for reelection. 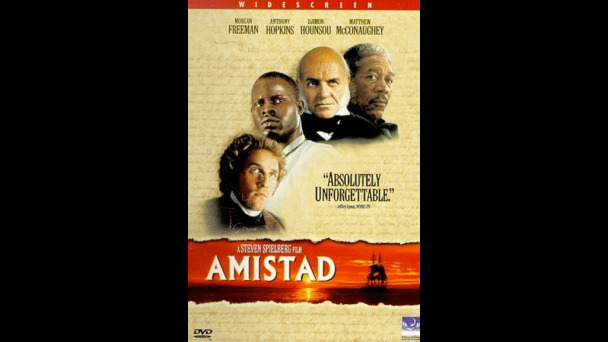 This revived the 2 party system and set the stage for our current political practices.